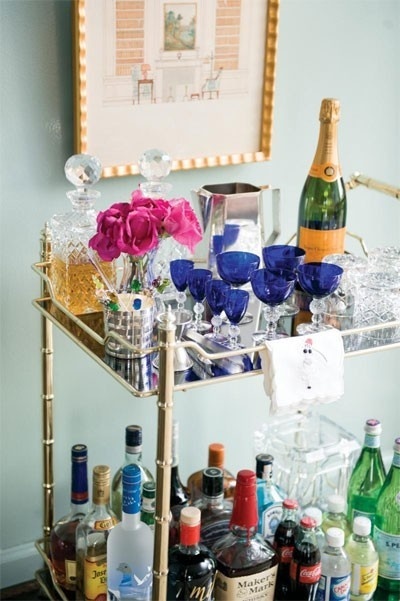 There is something glamorous and sophisticated about a little cocktail bar. I've been collecting a few inspiration photos from Pinterest since I've been thinking of setting one up for a while now. Whether you imbibe or not, just seeing all the crystal, silver and condiments gathered together is eye pleasing. 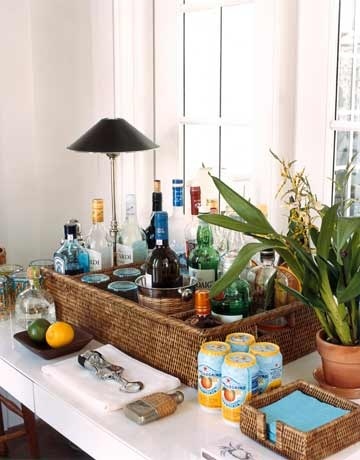 This impromptu bar looks like it was set up for a party that will serve margaritas! 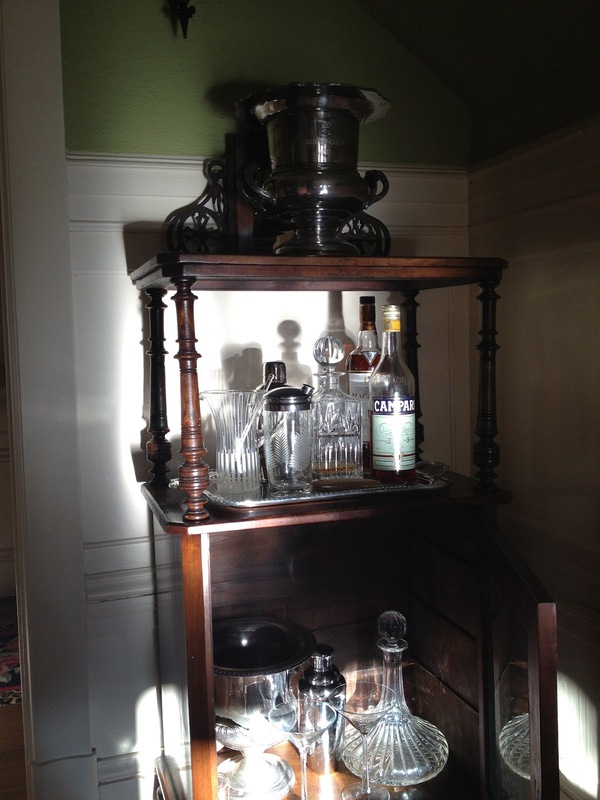 The logical place to set up a bar is in the dining room. 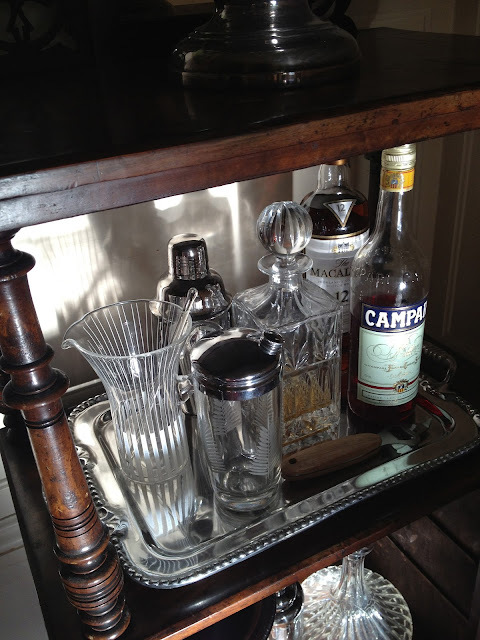 It's nice as a host to be able to offer your guests a drink before dinner. 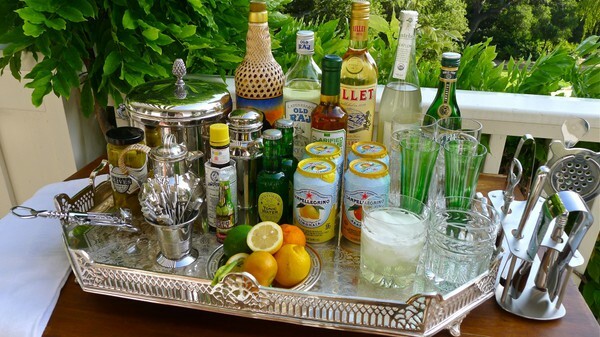 A portable cart makes the ideal bar. It can be rolled from room to room, or even outside for an alfresco summer party. You can only imagine that this is my favorite bar! 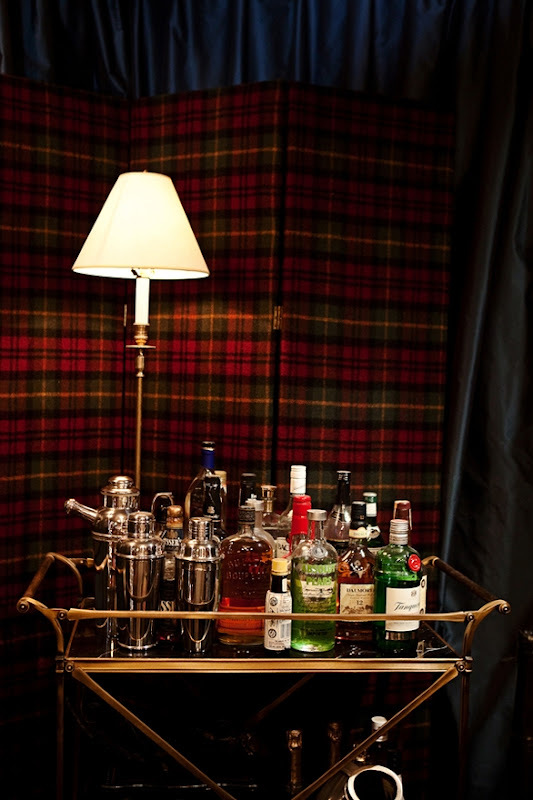 The tartan screen, the martini shakers, the bottles of scotch! 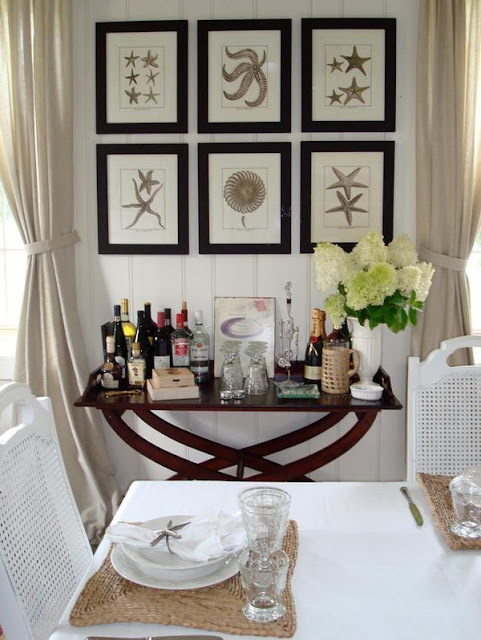 It is in Scot Meacham Wood's dining room and I love it! We've never had a bar before, mainly because we prefer wine, not spirits, and because with four kids, it wouldn't be wise to have all that alcohol sitting around. We have always locked up or hid the booze that we would serve to guests. This armoire solves that problem. 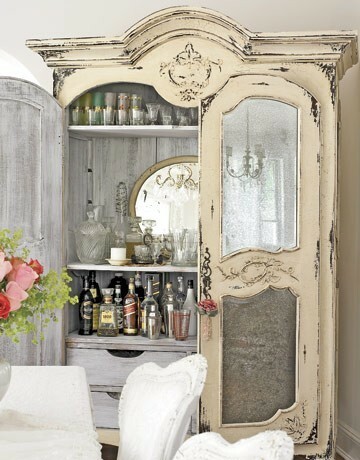 It houses quite a collection of spirits, mixers and glassware. Just open it up for a party and otherwise lock it up and hide the key! Speaking of collections, I started collecting vintage barware years ago, focusing on martini shakers from the 60's. They also have been locked up forever. I just didn't have a place to display them. 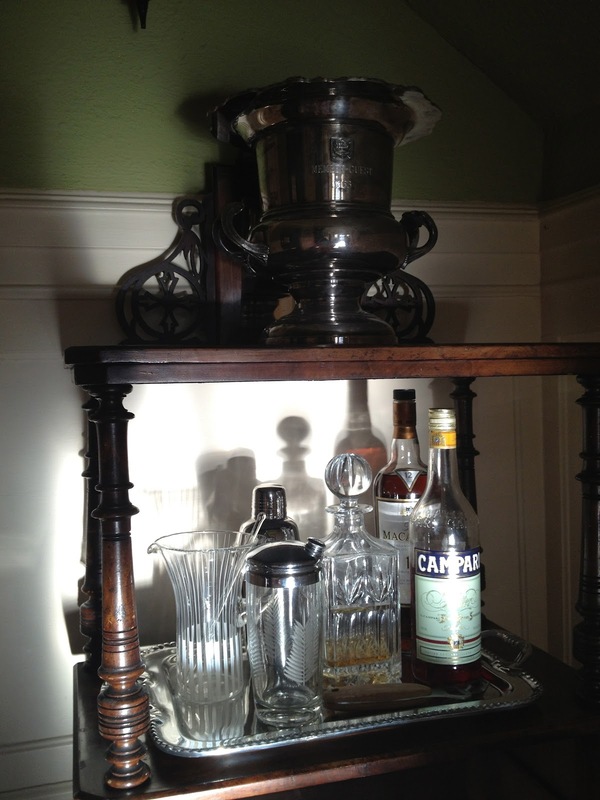 With the kids all grown and gone, I thought it would be fun to have a bar, so I set one up in the peculiar little piece of furniture we inherited from my mother-in-law that lives under the stairway. I've never known what to do with this piece, but now it has a purpose! Now I can display my collection of vintage silver champagne buckets, crystal decanters, and martini shakers all in one place. 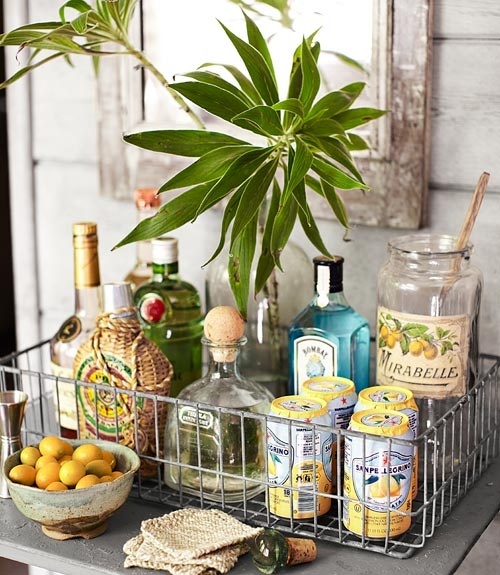 A pewter tray corrals it all. I'm quite pleased with the look! I feel like I'm in an episode of Mad Men! Oh I love your little bar! I quit drinking almost 4 years ago, but my husband makes wine. He would love this!! Great set up. 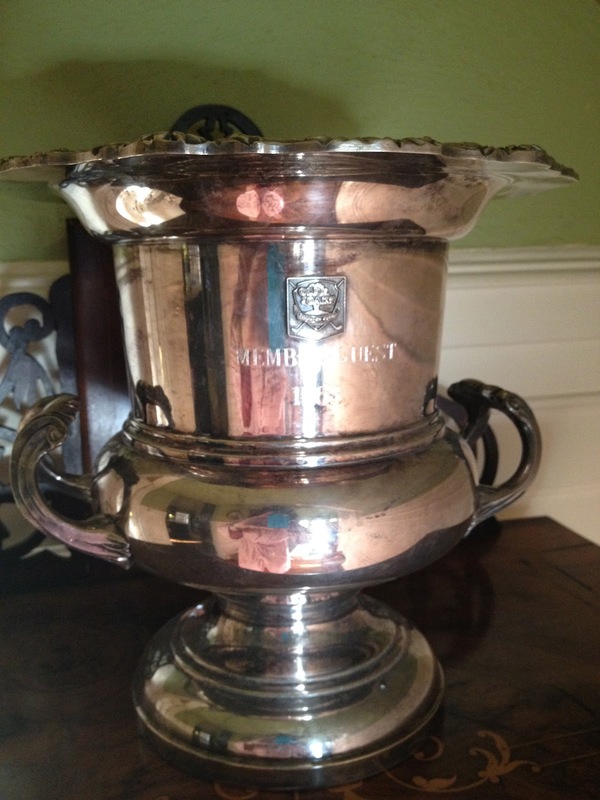 We have been collecting a piece here and there for our son's bar for his future home. Thanks for the inspiration. Great post, Delores. 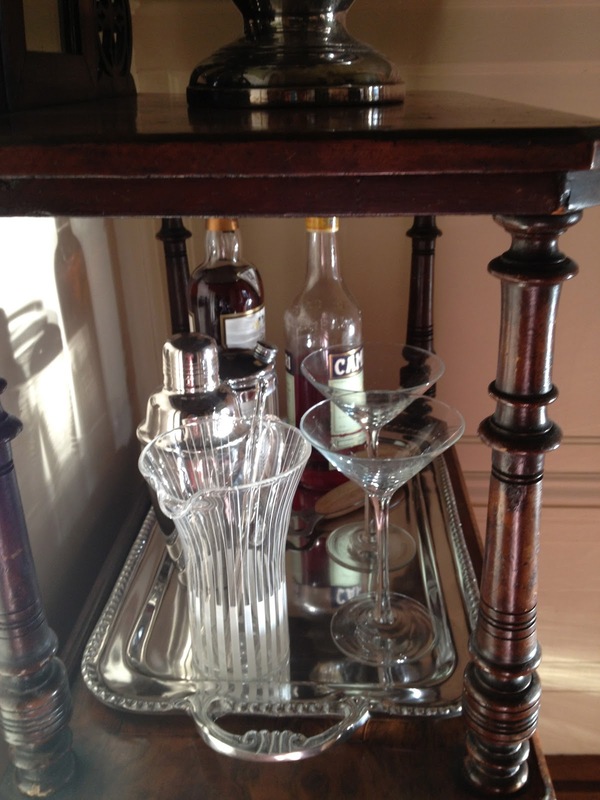 Although we rarely drink cocktails, these gorgeous bars and drinks trays really speak to me. Love the first one and the one from Scott Meacham Wood's house. 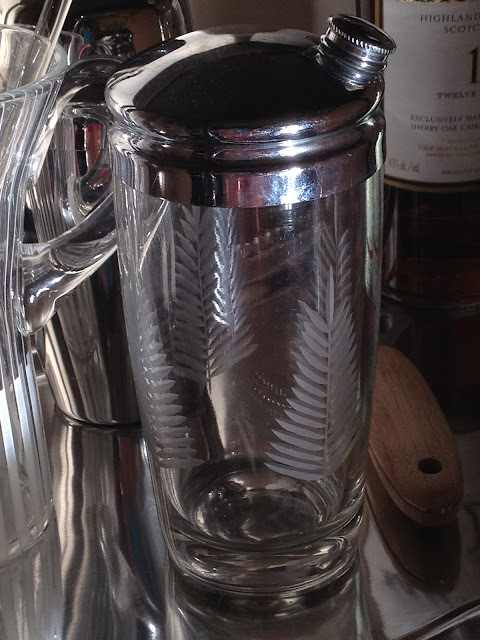 Such great pictures...love your vintage bar ware and like you, love the vintage things more than the new....especially old silver and crystal decanters!! Think its time to work on a new bar vigentte. Great post! Vintage cocktail items are a fun collection. All the drinks seem to be quite expensive and wonderfully arranged. My sister organized a baby shower for her sister in law at one of the lovely San Francisco venues last month. Colorful ribbons and flowers looked quite appealing. Food was of high quality and mommy to be was glowing.